You are currently browsing the Archaeofacts.com archives of Musings for the day Saturday, November 15th, 2008. Without a doubt we’re in a deflationary period with few $$ available for loans. Still, some projects underway ahead of this mess are going strong, including several in and around our beloved Piedmont Park. 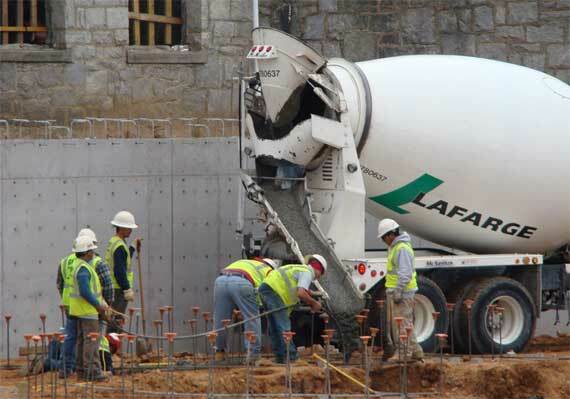 Here, they’re pouring concrete for the revitalized natatorium* (will have wifi! ), adjacent to Lake Clara Meer. Up the hill, the Bot Garden (and the Park) are getting a new parking garage that’s supposed to be quite green, vegetated and attractive (it’s still bare cement and rebar right now), although it’s been extremely controversial. And, on the edge of the park, the Piedmont Driving Club (“now in our second century”), is rebuilding a whole wing and redoing its parking area. On a personal note, it’s windy, so I’ve been jumpy all day…. * Trivia: the TBS program “Adult Swim” was named for a sign on the door of this building, I’m told….